“The Trickle Algorithm” is conceived as an adaptive mechanism for allowing efficient and reliable information sharing among nodes, communicating across a lossy and shared medium. Its basic principle is, for each node, to monitor transmissions from its neighbours, compare what it receives with its cur- rent state, and schedule future transmissions accordingly: if an inconsistency of information is detected, or if few or no neighbours have transmitted consistent information “recently”, the next transmission is scheduled “soon” – and, in case consistent information from a sufficient number of neighbours is received, the next transmission is scheduled to be “later”. Developed originally as a means of distributing firmware updates among sensor devices, this algorithm has found use also for distribution of routing information in the routing protocol RPL, standardised within the IETF for maintaining a routing topology for low-power and lossy networks (LLNs). Its use is also proposed in a protocol for multicast in LLNs, denoted “Multicast Forwarding Using Trickle”. 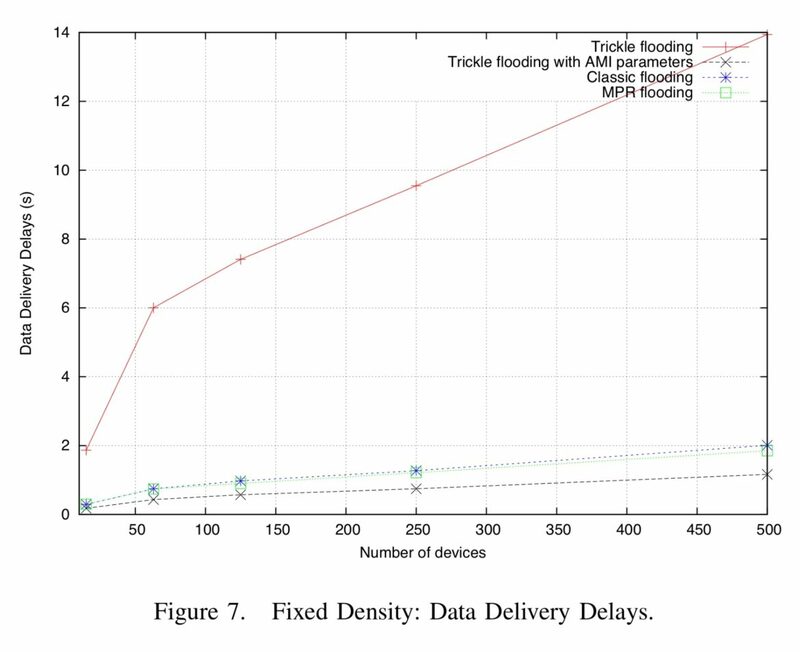 This paper studies the performance of the Trickle algorithm, as it is used in that multicast protocol.